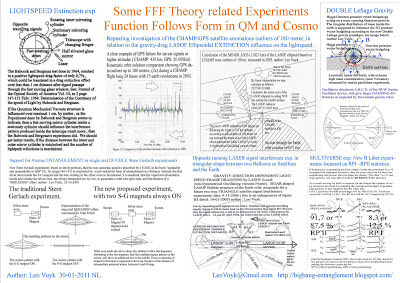 The Qunatum-FFF model combines some old dissident ideas of 5 well known physicists, with a new Dual-Universal Big Bang without broken symmetry, and a new Dual Universal EPR (Einstein Podolski and Rosen) correlation model, coined "Big Bang Entanglement". 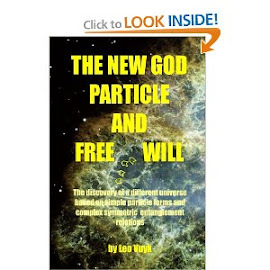 According to modern physics, the EPR correlation mechanism predict that each elementary particle that came out of the Big Bang, had a counterpart (anti-mirror) particle which was non-local EPR correlated. These EPR correlations should now be "washed out" due to a not well understood decoherence- and annihilation mechanism, which created the so called broken symmetry of our material Universe. However this model predict that the EPR correlated anti-mirror symmetry between particles is still there, in the form of dual universal symmetry mechanism called "Big Bang entanglement"
As a result, these ideas introduced a new ontology of physics. "Big-Crunch". Quantum mechanics, and the well known EPR correlation laboratory experiments suggest, that there is always 100% correlation (or anti-mirror symmetry) between particle pairs, which are created by a "common" source and measured at equal times, no matter how far these particles are separated. The Cold Fractal Big Bang mechanism is supposed to be the "common" source of pairs of synchronized, Big Bang Entangled particles living in different dual (anti-mirror) universes. As a result all particles and waves participate in this Big Bang entangled guiding system which we may call: "consciousness on the quantum level". Dual-Multi-Universal model. 6 experiments are suggested to verify this model in the future. "All physical theories...... should lend themselves to so simple a description that even a child could understand them." -- Albert Einstein. 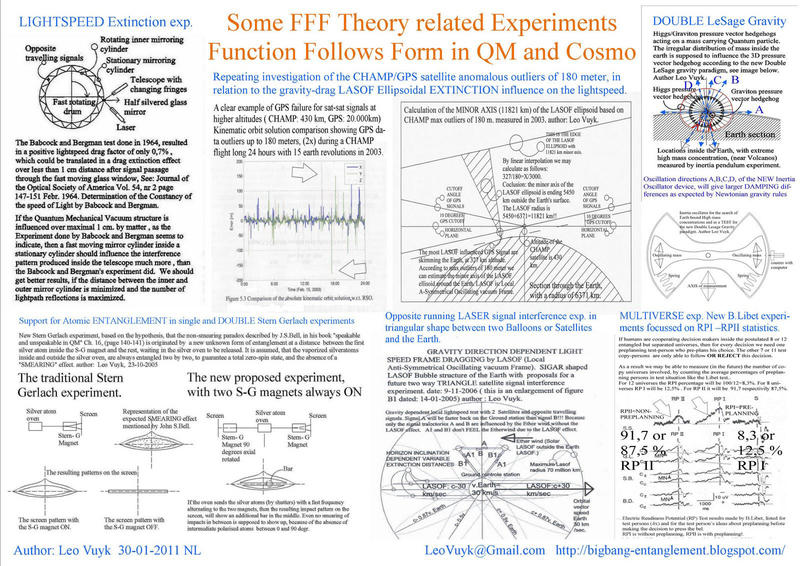 I hope that I am in the same line of thought by using only geometrical explanatory imaging (see the figures) and references to new experiments supporting the Q-FFF model.